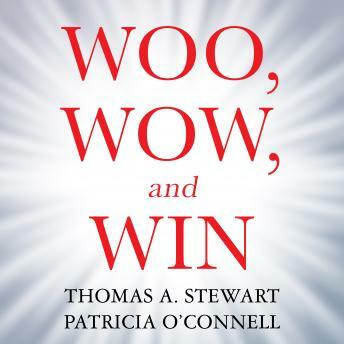 Woo, Wow, and Win reveals the importance of designing your company around service, and offers clear, practical strategies based on the idea that the design of services is markedly different than manufacturing. Bestselling authors and business experts Thomas A. Stewart and Patricia O'Connell contend that most companies, both digital and brick-and-mortar, B2B or B2C; are not designed for service-to provide an experience that matches a customer's expectations with every interaction and serves the company's needs. When customers have more choices than ever before, study after study reveals that it's the experience that makes the difference. To provide great experiences that keep customers coming back, businesses must design their services with as much care as their products. Innovative yet grounded in real world examples, Woo, Wow, and Win is the key strategy for winning customers-and keeping them.